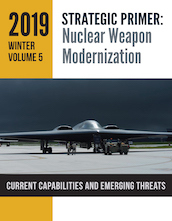 This work seeks to provide insights into the role U.S. nuclear weapons play in advancing America’s security, and the rationale for modernizing U.S. nuclear weapons and their delivery platforms. Russia and its allies are not just targeting government, society, and military targets. They are also attacking key economic targets like electric grids and international logistics firms. They aim to undermine the US, UN, and other governments and effectuate what amounts to a criminal takeover of corporations for profit and political gain. As the contemporary terrorist threat changes, it is being amplified by new technologies that give those actors greater reach and impact than ever before.